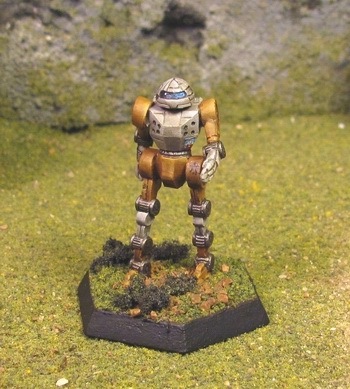 The district insignia, painted on a BattleMech's lower left torso and in a corresponding spot on other war machines, is a white dagger in a red sheath set against a blue field. 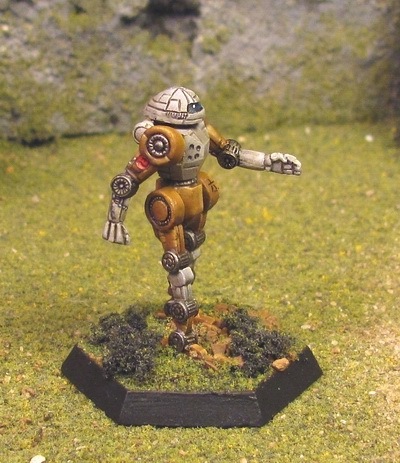 BattleMechs also carry the Kurita crest on the outside facing of the right shoulder, and individual regimental insignias are placed on the upper right arm or upper left leg. Aerospace fighters and conventional vehicles carry insignias in corresponding places. 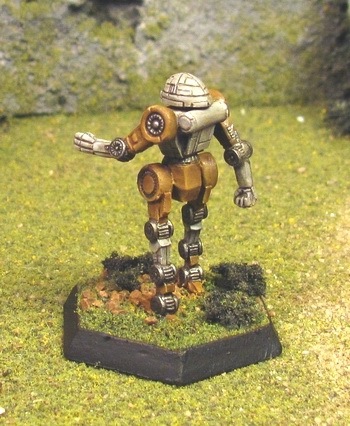 The regimental insignia is a hunter's rap and chain worn on the upper right arm f a BattleMech; the chain snakes back up the arm as if to attach itself to he Kurita dragon crest on the 'Mech's shoulder. Per FM: Draconis Combine, pages 40 and 41.